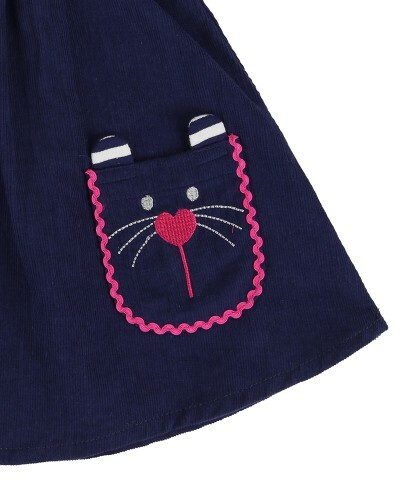 One of our best selling styles, this dress has cute character pocket detailing which little ones will love. Soft gathering to neckline creates a fuller body finish which is comfortable to wear and great for layering up over leggings or tights for cooler days. The dress is made from a soft woven cord fabric in navy and has popper fastening to back neck.